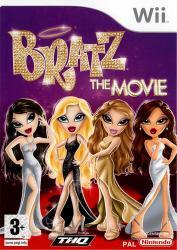 oin Cloe, Jade, Sasha and Yasmin as they rock out in explosive music shows, strut the fashion runway with stylin� outfits designed by you, and dish out the hottest magazine ever! Their hard work lands them a once in a lifetime opportunity to star in their very own movie! Share their experience in the glitz and glamour of becoming real movie stars!